Soaring costs of fuel, insurance, road tax and repair bills mean that it now costs British drivers £3,453 every year to run their vehicles. The cost of running an average family car in the UK costs £1,000 more than in the USA and Australia, £1,825 than Japan and a staggering £2,000 more than in China. 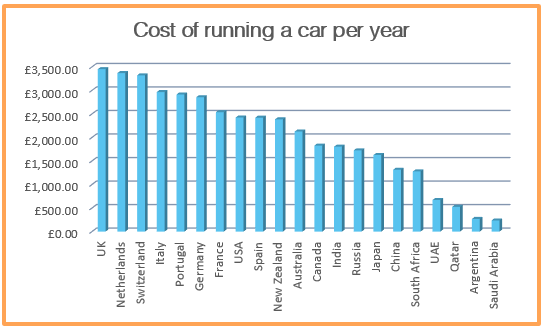 The survey, carried out by Webuyanycar.com, compared the cost of motoring, including the price of fuel, insurance, road tax and MOT in 21 countries on five continents. And the study and revealed that on many fronts the UK motorist is paying more than anyone else, with only those in the Netherlands and Switzerland coming close. Based on an annual mileage of 12,500, the average UK driver will spend £2,256 a year on fuel. It means we shell out an average of 27p for every mile. However, just across the channel in France it would cost £2,078. British drivers are also being hit hard when it comes to road tax, with the survey calculating that the average cost in this country is £225 a year. This is seven times the amount paid by drivers in Switzerland, Spain and Russia, while those in Canada, South Africa and New Zealand do not have to fork out for road tax at all. There is some good news for British drivers however; recent falls in the cost of car insurance mean that the UK average premium of £667 is on a par with countries such as the USA and Canada plus European nations like Germany, Italy and the Netherlands. That also puts UK drivers well ahead of Switzerland where the average premium is a massive £1,200, although more than France, Spain and Australia where drivers pay less than £400 a year. In Australia the average cost of insurance £383, in Spain, £350, while in France the average is just £286. Other expenses include maintenance and repairs, the cost of which has crept up as many modern cars are too complicated for DIY mechanics to fix on their own. If the general costs of running a car wasn’t high enough, the unexpected costs also dents your wallet from time to time. Like the time your wing mirror’s snapped off, or finding you have a small crack in your windscreen which starts growing bigger by the day. Thankfully, there’s a better way to be prepared for covering such costs when you join Profit Squirrel. 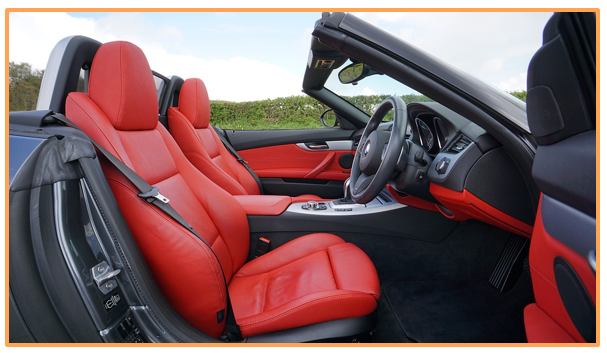 The great thing about Profit Squirrel is that it offers everyone the opportunity to earn a second, flexible income – enough to stop you ever worrying about your car maintained costs ever again. Profit Squirrel members are earning £500+ tax-free every month. That’s £6,000 each year! Not only will you have enough money to cover your maintenance costs, you could make enough to treat yourself to a new car. I was getting super frustrated with my old car, wasn't just the price of petrol for a 2.3-litre engine but the repairs were costing almost more than the car's worth!